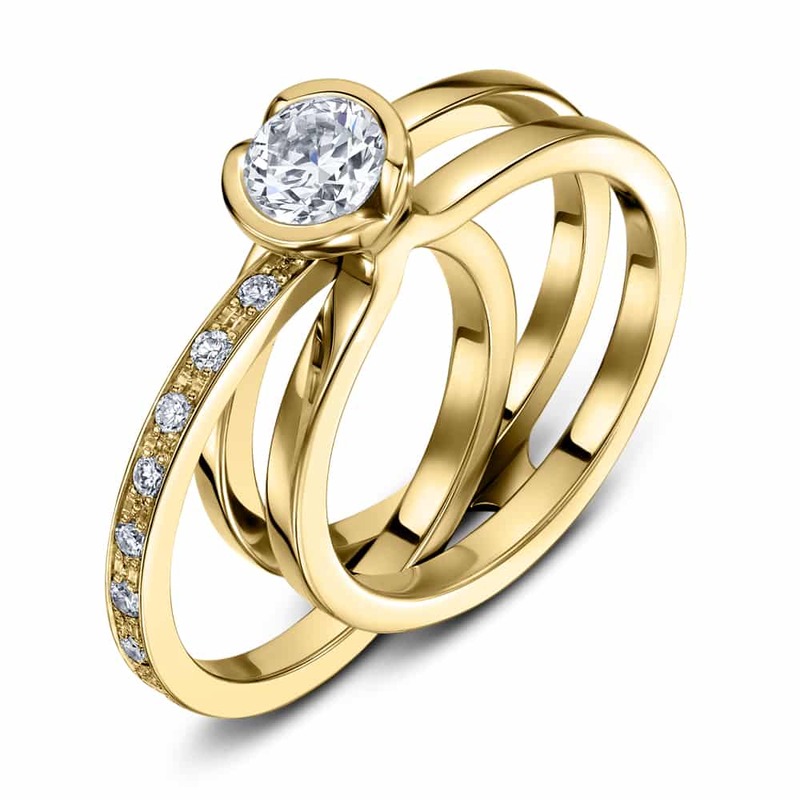 Such a romantic design, Unity is a clever twist on a classic two-part ring, neatly holding a separate central band within itself to form, when completed, a striking three-band ring. So beautifully crafted, and so wonderfully expressive as a symbol of love, the setting cups a spectacular brilliant cut diamond, while the inner band is meticulously hand-set with a glimmering stream of ravishing diamonds, captivating worn separately, or within the Unity band. A striking diamond G VS2 centre stone, with 0.33ct diamonds on the insert – G VS – the removeable insert can be a different metal to the main ring. 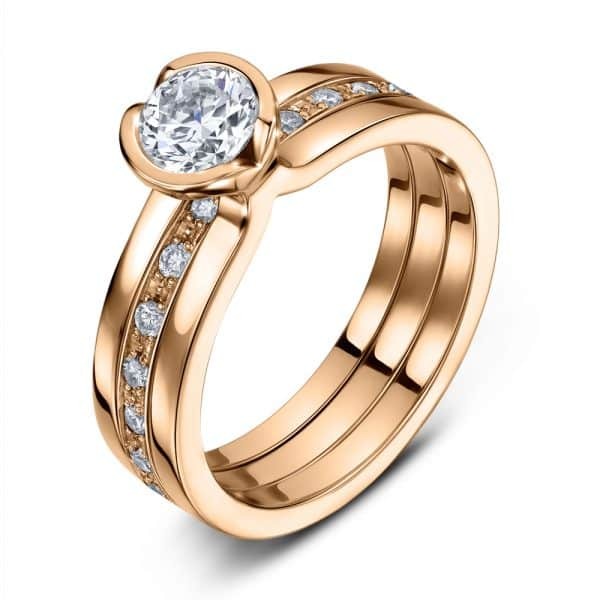 Available in brilliant, princess and emerald cuts, both the main and insert stones are available in a host of gemstones including diamond, coloured diamond, sapphire and ruby, set in platinum or 18ct white, rose or yellow gold.